Harvard is the latest school to face accusations that it's benefiting from a racist past. In 2017, Georgetown University apologized for selling 272 slaves in the early 1800s, and promised to make reparations by offering the descendants of enslaved people an edge in admissions. And in 2016, Harvard Law School abandoned its official seal, based on the crest of a slave owner whose endowment of land helped establish the school. 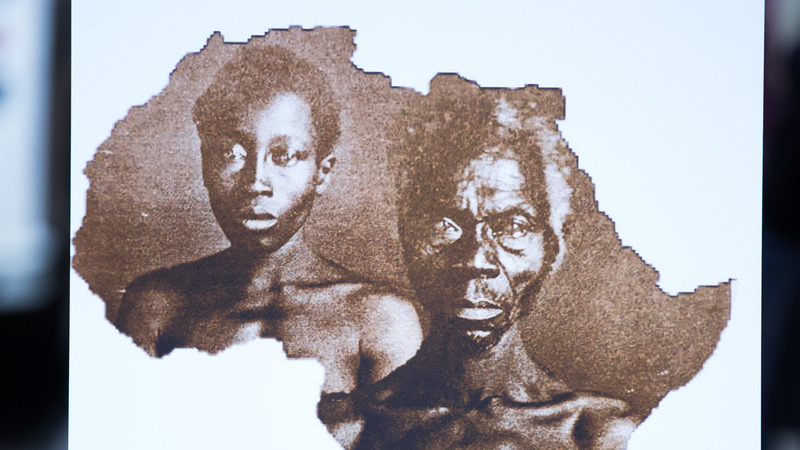 To help prove his theory, Agassiz commissioned a series of photographs of several enslaved men and women, made using an early photographic technique known as daguerreotype. They were to stand, naked, and be photographed from all sides. One of those men was Renty, staring at the camera, his eyes blazing. "That photograph is like a hostage photograph," the writer Ta-Nehisis Coates told the New York Times. "This is an enslaved black man with no choice being forced to participate in white supremacist propaganda — that's what that photograph was taken for."